Sounding Spirit: Scholarly Editions from the Southern Sacred Music Diaspora will publish digital and print annotated facsimile editions of five influential but currently inaccessible books of sacred southern vernacular music. Sounding Spirit focuses on gospel music, spirituals, shape-note music, and lined-out hymn singing, documenting the critical role textual communities played between 1850 and 1925 in the constellation of vernacular southern sacred music genres that shaped the American popular music landscape. This initiative examines the roots and intersections of American sacred music traditions through richly annotated editions that harness the unique affordances of digital publishing. Sounding Spirit’s interdisciplinary, annotation-oriented approach to scholarly editing combines analysis of edition texts with their cultural significance among textual communities. Sounding Spirit tells the story of these textual communities by documenting texts’ bibliographic and genre contexts while connecting the books to their contemporaneous cultural contexts. By foregrounding relationships among race, place, religion, and culture, Sounding Spirit editions will explore how these textual communities negotiated modernity, or created alternative modernities, by participating in their respective sacred music traditions. Supported by the National Endowment for the Humanities’ Scholarly Editions and Translations program, and published by the University of North Carolina Press and the Emory Center for Digital Scholarship (ECDS), Sounding Spirit invites new readings and interpretations of critical sacred music books currently unavailable to scholars and practitioners. The initiative offers scholars of history, musicology, folklore, regional studies, and religious studies access to key texts for research and teaching. Sounding Spirit also appeals to a general audience, including contemporary textual communities rooted in related volumes of sacred music. Published digitally using Readux, the initiative’s editions present high-resolution digitized page images overlaid with accurate transcribed text and multimedia annotations paired with visualizations, apparatus, and critical introductions. 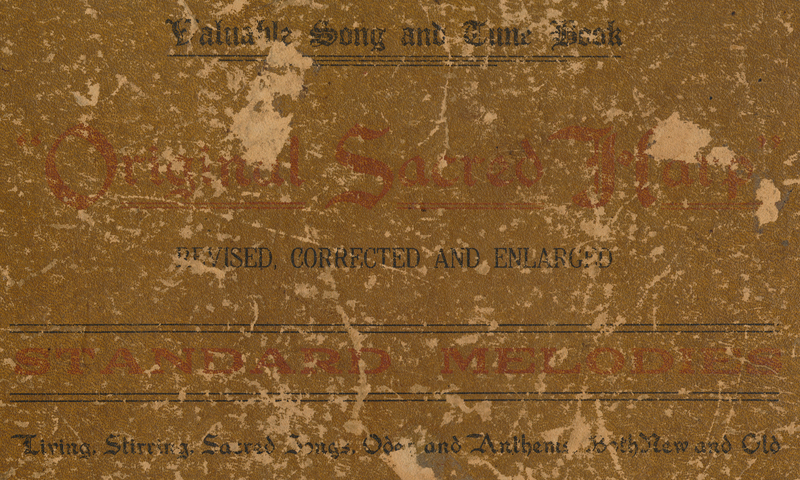 Sounding Spirit is currently accepting proposals from prospective volume editors for editions of gospel songbooks or hymnals published between 1850 and 1925 representing Black or Native American sacred music making.